GENEVA -- The U.N. human rights chief is blasting the Trump administration over its new policies separating migrant children from their parents after entering the United States from Mexico, saying they've affected nearly 2,000 kids in the last six weeks and put them at risk of "serious health consequences." The High Commissioner for Human Rights is calling for an immediate end to the practice. Al-Hussein quoted the American Academy of Pediatrics, which he said had called the practice of forcing parents to part with their children "government-sanctioned child abuse" which may cause "irreparable harm," with "'lifelong consequences." "The thought that any state would seek to deter parents by inflicting such abuse on children is unconscionable. I call on the United States to immediately end the practice of forcible separation of these children," al-Hussein said. "People do not lose their human rights by virtue of crossing a border without a visa," he said, adding, "I deplore the adoption by many countries of policies intended to make themselves as inhospitable as possible by increasing the suffering of many already vulnerable people." The American Academy of Pediatrics, cited by al-Hussein, has been one of the most vocal groups to criticize the U.S. government policy of separating parents from their children. In an op-ed published over the weekend in the Los Angeles Times, the group's President, Dr. Colleen A. Kraft, spoke of touring a facility where children are being held, where she saw a little girl, "her face splotched red from crying, her fists balled up in frustration, pounding on a play mat in the shelter. No parent was there to scoop her up, no known and trusted adult to rub her back and soothe her sobbing." Speaking Monday morning to "CBS This Morning," Dr. Kraft did say that separating children from their parents by forces was a "form of child abuse," and called for an end to the policy. 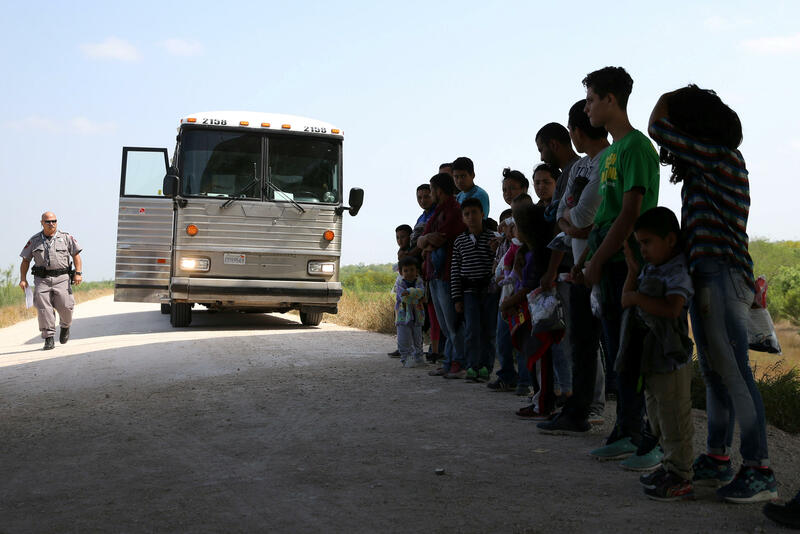 Pediatric doctor says separating families at border is "a form of child abuse"
The AAP said in an article published last week that its, "opposition to family separation stems from the serious health consequences this practice has on children. Its 2017 policy statement Detention of Immigrant Children urges that separation of a parent or primary caregiver from his or her children should never occur, unless there are concerns for the child's safety at the hand of the parent. Highly stressful experiences, including family separation, can cause irreparable harm to lifelong development by disrupting a child's brain architecture. Toxic stress, which is caused by prolonged exposure to heightened stress, has detrimental short- and long-term health effects." Zeid, a Jordanian prince, also raised concerns about countries including Syria, Myanmar, Hungary, Nicaragua, Israel, North Korea, and India- and Pakistan-controlled parts of Kashmir.